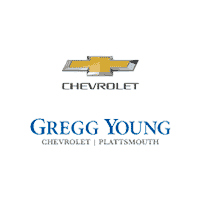 The Gregg Young Chevrolet of Plattsmouth Body Shop is your Plattsmouth, NE auto body repair center. We have the tools and experience to get your vehicle back on the road after an accident or collision. Our technicians are equipped to handle any problem your vehicle may have. We can help with the insurance claims process, give you a free written estimate before any work is done, and make repairs promptly to better serve you! For auto paint, we use an environmentally friendly water base refinish system PPG. Our refinish technicians are gold-certified to operate this state of the art painting system. The Gregg Young Chevrolet of Plattsmouth Auto Body Shop will provide a written lifetime guarantee on all of our work that extends past your manufacture guarantee, and we are a preferred provider for most major insurance companies.